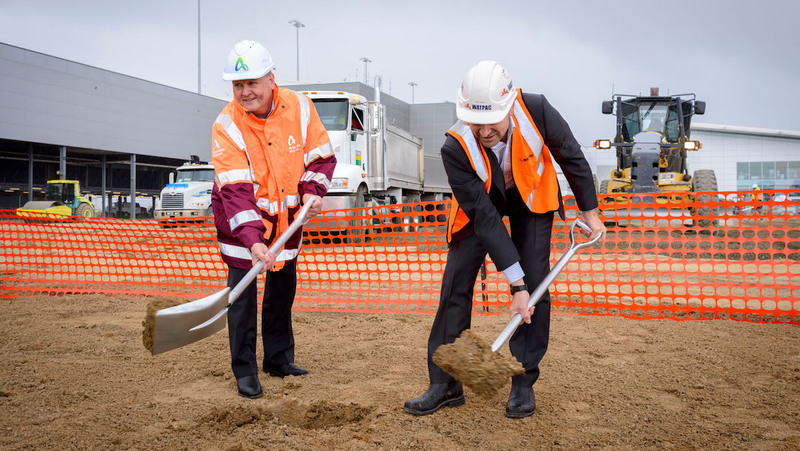 Adelaide Airport has officially kicked off a $165 million project to expand its passenger terminal and improve facilities for international passengers. 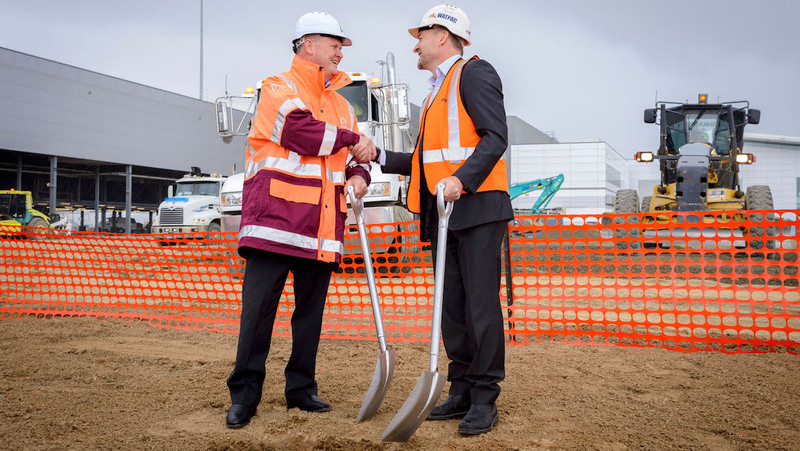 The construction works got underway on Wednesday when Adelaide Airport managing director Mark Young turned the first ceremonial sod. The project was first announced in June and due for completion in 2021.
International traffic has increased significantly in the past year or so, following the start of services by Qatar to Doha (in 2016), China Southern (to Guangzhou in 2016 and Fiji Airways (to Nadi in 2017). And Air New Zealand, which began flying between Adelaide and Auckland in 2017, has been upgauging some services from Airbus A320s to Boeing 787-9s. The number of international passengers has tripled since the new international terminal was opened in 2005 and reached 952,000 in the 2016/17 financial year. It topped one million in the 12 months to June 30 2018, an improvement of 5.5 per cent, or 52,500 passengers, from the prior year. Total passenger numbers reached 8.1 million last year. Young said the expansion project, being undertaken by Watpac Construction, was aimed particularly at improving facilities, and the passenger experience. “We have sufficient stands and gates for aircraft, but we need more space to deal with the growing volume of passengers,” Young said on Wednesday. 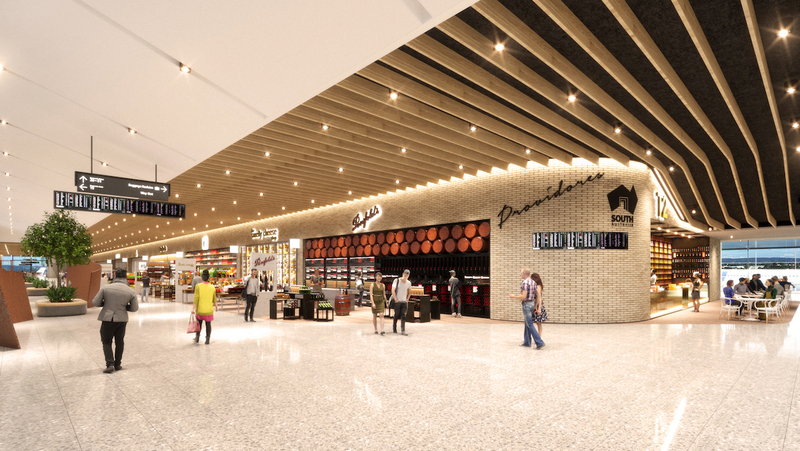 The project would increase the terminal space by 16,500 square metres, including an additional 7,257 square metres of retail space to boost shopping and dining opportunities for passengers. In the international precinct, departing passengers would gain more retail and dining space, as well as an expanded duty free shopping area. There would also be larger immigration and security screening areas, which are being relocated from Level 2 (checkin) to Level 1 – the present arrivals area – where a second baggage belt would be installed. And the work included new VIP facilities for international departures and arrivals, and a “common user” premium departure lounge for international passengers. Under the changes, Gate 18 will become a dedicated international gate, but Adelaide Airport planned to continue to use of “swing gates” able to be used for both international and domestic flights depending on demand. The terminal has six of these gates at present, including two for international narrow-body aircraft. 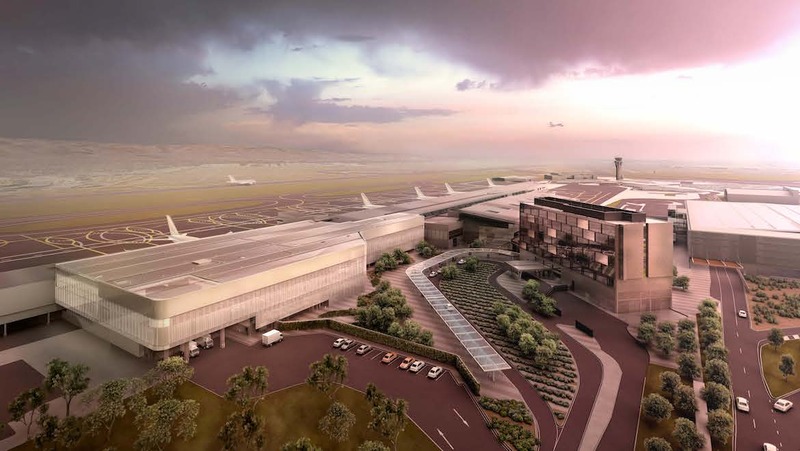 Young said the project would enable the airport to attract new international airlines to Adelaide, with a direct service from the US West Coast still the priority, and cater for additional flights by carriers already serving the South Australian capital. After discussions with airlines, Adelaide Airport has put on hold earlier plans move the international area to the northern end of the terminal and build three new gates at the back of a widened pier. “We are not moving to add gates straight away,” he said, although the proposal remained in the airport’s development plan and was likely to happen “in due course”. 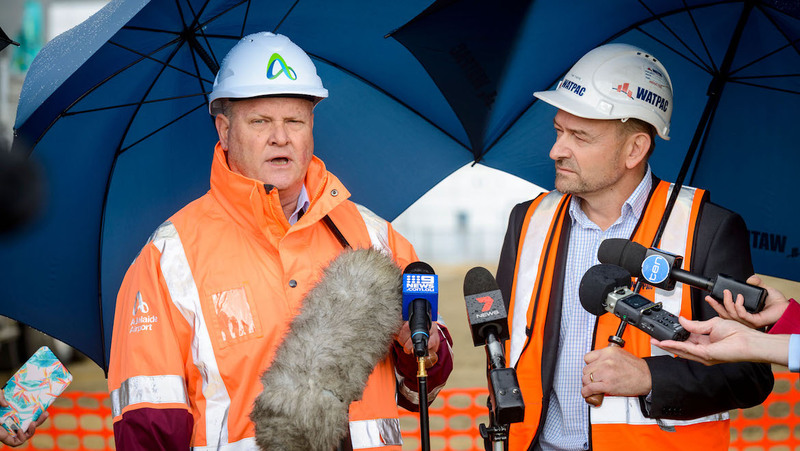 Meanwhile, work on the $50 million, 165-room Atura Hotel, adjacent to the terminal building, was running well ahead of schedule and likey to open for business in September. The hotel was originally due for completion by the end of 2018. 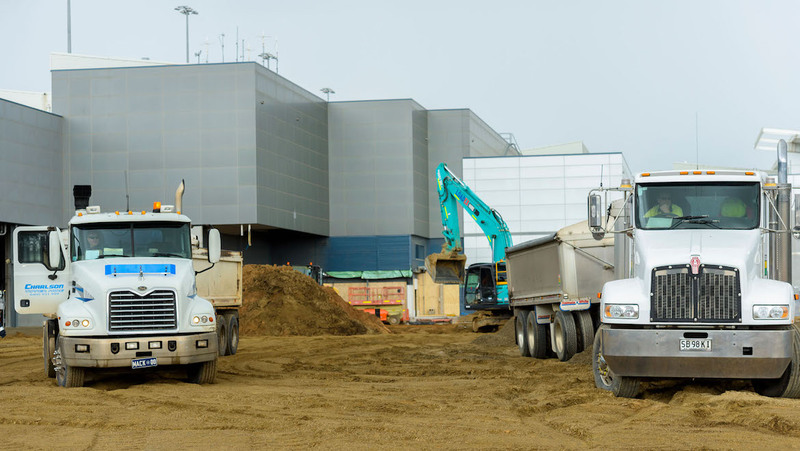 VIDEO: A look at the terminal expansion project from Adelaide Airport’s YouTube channel. I can’t understand, why are Airports so obsessed with increasing the number of retail opportunities and operators at Airports? The ones already there are overpriced, and people only have a limited amount of money to spend. They should be taking a leaf from Singapore Changi, and increase the Airport user’s experience, by creating a garden, or something uniquely Adelaide and South Australian. Interesting promotional video. Showing the joys of queuing for security, and in that area of the terminal at least it looks like very low ceilings and a bit closed in. Not bright and expansive. Having said that, I like Adelaide. Airports like it and Canberra have provided a much more superior (and much overdue) terminal experience in recent years. The only capital city airports that really need improvement/expansion now are Hobart and Darwin. Although parts of Sydney and Brisbane could also do with face lifts. Townsville and a few of the larger regional centres could also follow suit. A ‘build it and they will come approach’ appears to be the go. Well done Adelaide. Although I do agree with @David – A focus on the on the overall experience rather than just retail would be the go. Canberra terminal is wonderful for domestic, but I find the International side a bit cramped when a full widebody load is waiting to board. There is also no inbound duty free. But the real problem is that the International Terminal is “all dressed up with no place to go” except Doha and Singapore. I know that the owners and the ACT government are trying to attract more international flights, and I hope they succeed. My top requests would be anybody to Auckland, and Qantas to Singapore to link with onward flights without having to transit Sydney or Melbourne. Canberra Airport would be an even better transport hub for South Eastern NSW if the Canberra Jolimont Coach Terminal was relocated there. Maybe they should look at the upper level road to nowhere and work out who put s bloody jotel in its way! The pick up and drop is way to small. It will have to addressed one day as long queues are now the norm. Common sense would be to reopen the upper ramp. Hopefully the security gate is largely improved. In the morning it snakes it’s way all the way to the door. I now allow as much time than I would at Sydney to safely get to the terminal in time.